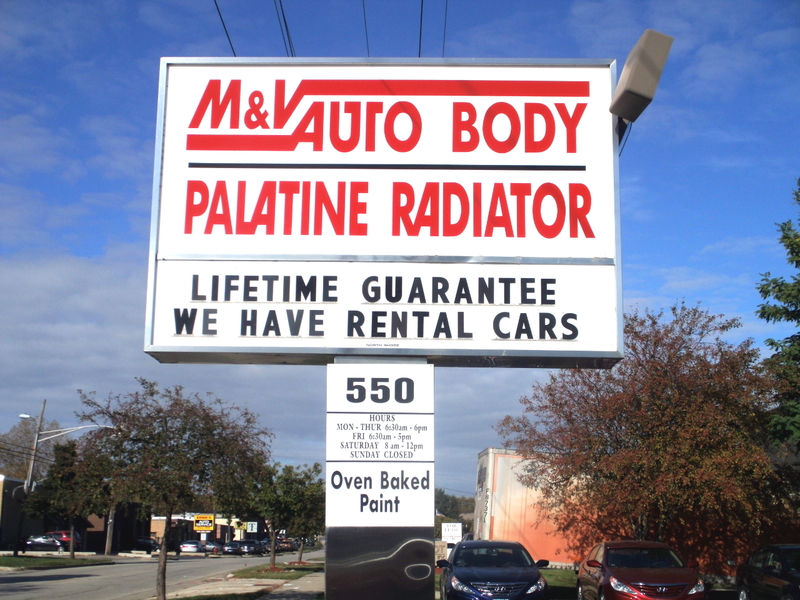 M&V Autobody is a full service autobody shop located in downtown Palatine. Providing a full line of service to all makes and models, M&V is dedicated to keeping your car looking and running like new. Why M&V: Details the services offered by M&V. Map and Directions: Find M&V easily with Google Maps. About M&V: Learn more about autobody repair and restoration. Rental Cars: Find out what you need to rent a car at M&V and browse through our current rental fleet.